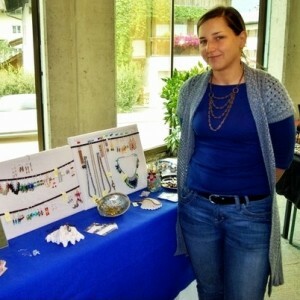 I love making things with my hands and to tell the stories that come with each handmade piece of jewelry. I suffer from "creative claustrophobia". I love plants and gardening...some of my plants even have names. I'm powered by sunlight and coffee. Besides crafting I just got my MA in history and I work as a librarian on a voluntary basis. I can't even remember starting, I was a little kid then. I tried out lots of different stuff over the years, like beading, crocheting, knitting etc. but none of them really worked out for me until about 2 years ago I discovered that I'm fairly good with metal. 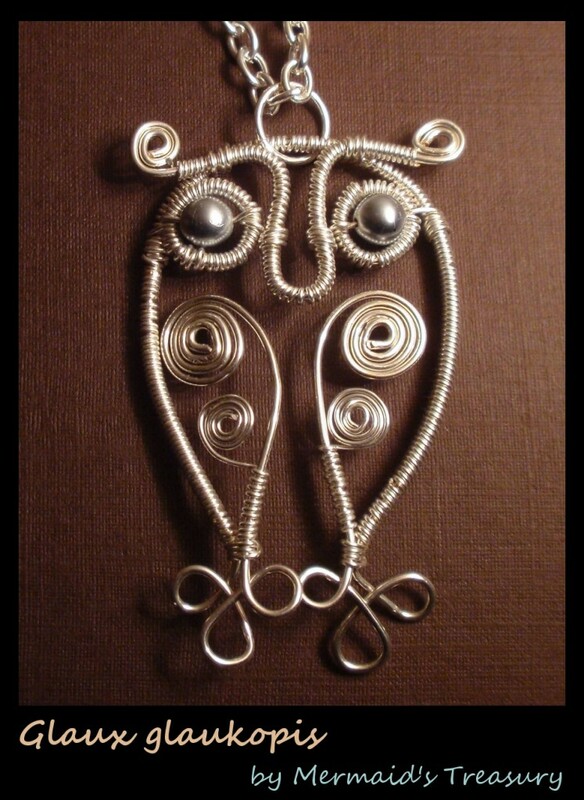 Since then I've stuck to making chainmaille and wire jewellery mostly but also tried casting and working with sheet metal. I can't really make up my mind if this urge of mine to learn new techniques (I guess, you could call it "creative claustrophobia") is a good thing or a bad one. I'm afraid that my work as a whole might look like an incoherent mess but I love it like that and can't think of doing it any other way than giving physical shape to the ideas that rush through my head and enjoying the learning process involved. My main sources of inspiration are history (I'm a historian), stories (mythology, literature and other fiction) and nature. 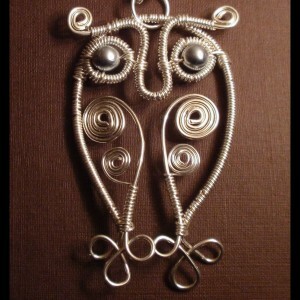 Many of my works were inspired by and named after by historical people, ancient works of art (like historical pieces of jewellery, I've seen in museums or books, or architecture), mythological, literary or other fictional people or creatures and organic forms designed by the world's greatest artist - nature. 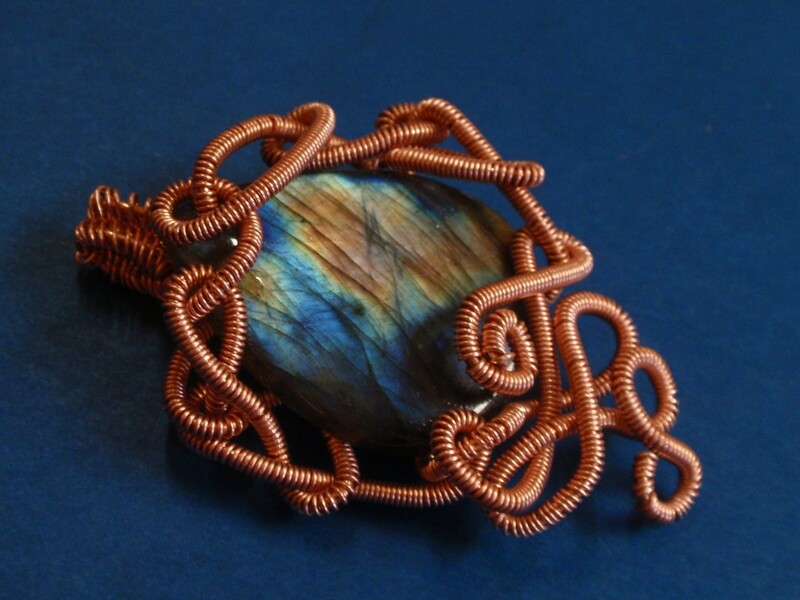 I love working with metal, especially with copper and its alloys and with different kinds of minerals. 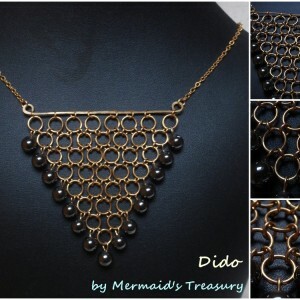 ...the necklace named "Dido" that you can see in one of the pictures. 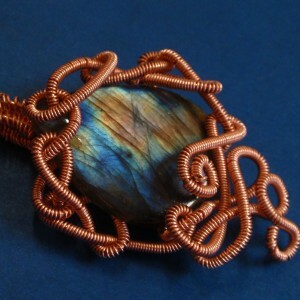 It is made from brass wire and hematite beads. The brass is an alloy that contains less zinc than normal brass which makes it more gold coloured and less yellow. The rings are connected by the "Japanese 4 in 1" chainmaille weave, that was originally used for samurai armour. I hand-cut the larger rings myself with a very thin diamond blade, so the cuts appear almost seamless. 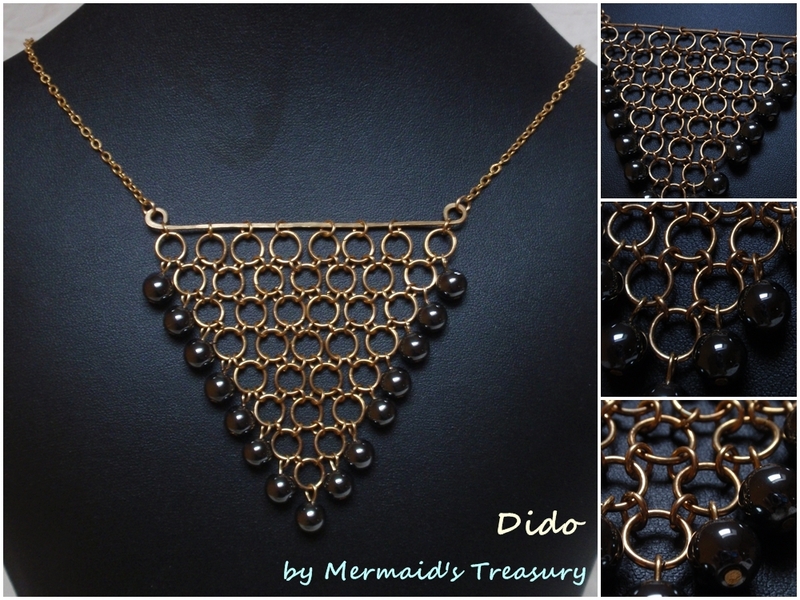 LIke most of my jewellery pieces, this one has a unique name too: In a legend about the foundation of the ancient city of Carthage, Dido was a phoenician princess who came to north Africa as a refugee. There she asked for a piece of land, as large as could be encircled with an oxhide, which was granted to her. By cutting the hide into very thin stripes and putting those together, she was able to encompass an entire hill, on which the settlement of Carthage was established. I sell mainly on Etsy and through friends and family, infrequently I also attend craft fairs. I love making things with my hands and to tell the stories that come with each handmade piece of jewellery. I also like to buy handmade things myself because they are unique and show the skills and effort put into them.